For Bee Sewcial this month, Kari/[quiltsforthemaking] chose a theme uplifting the beauty of diversity, specifically of women. The simple hourglass block was selected to represent and embrace the many shapes, proportions and colors all women come in. Of course, our blocks were to be created improvisationally, which I found a bit tricky but fun to explore. Click here to see the photo Kari provided as inspiration - an hourglass quilt by Eleanor McCainwith with alot of variation in shapes and sizes. After working on my own blocks, I thought it might be worth sharing some process photos. 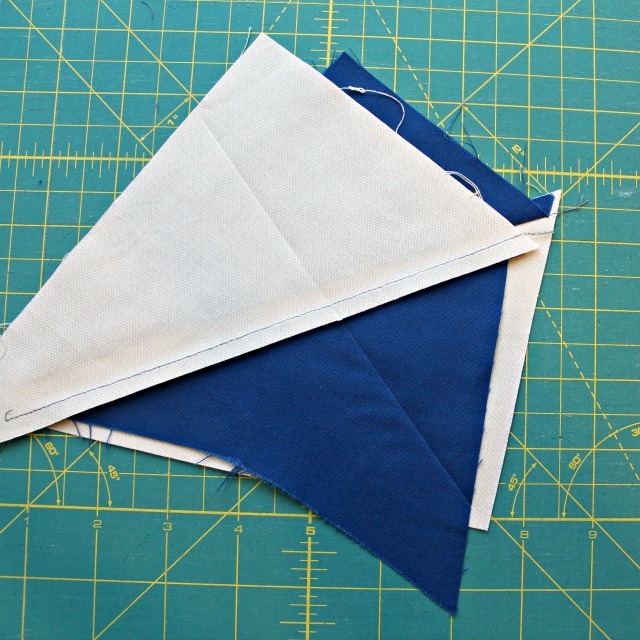 Stitch 1/4" on either side of the marked line, then cut the two halves apart and press. 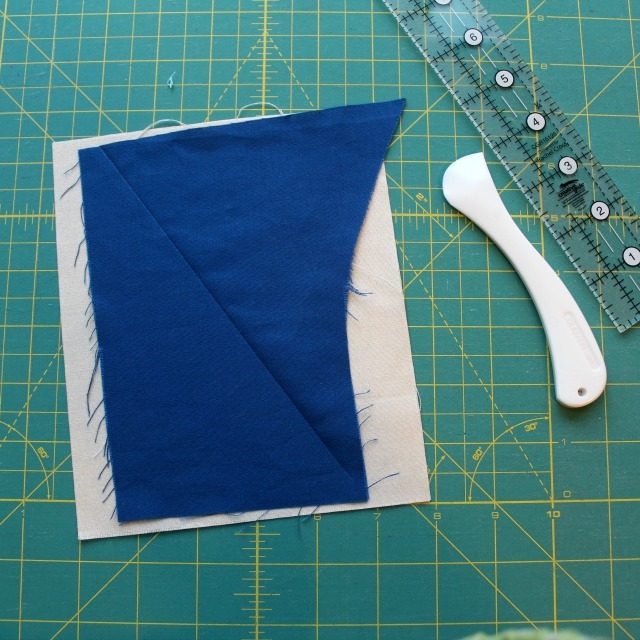 Place the two pressed pieces right-sides together, with colors opposite. Mark a new hera line, stitch on either side, cut apart, and press. 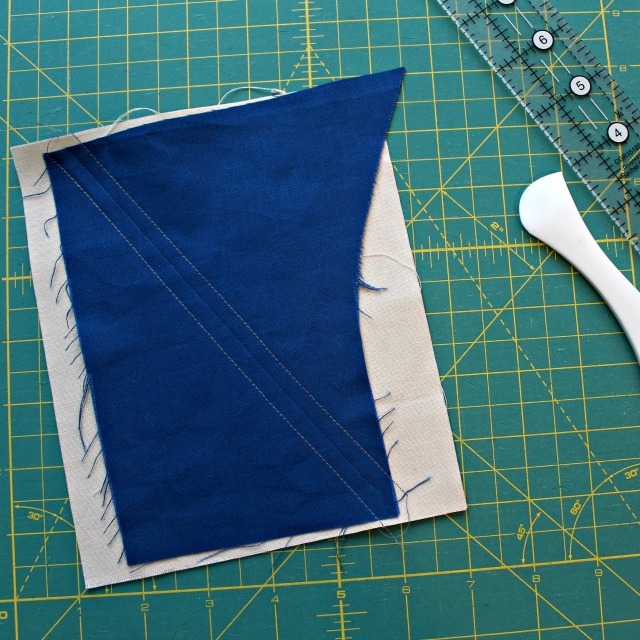 Note that with the pieces below, I didn't match the seams, but left them separated slightly. 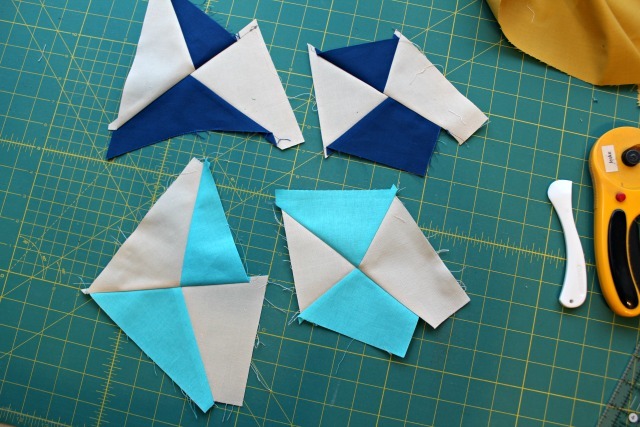 With these being improv, matching or not matching the seams adds to the irregular appeal of the blocks. 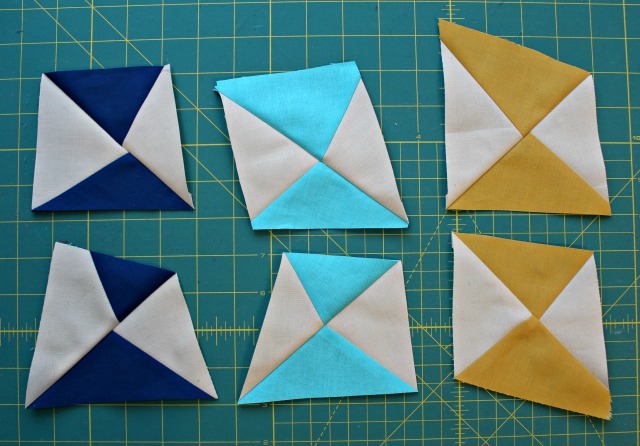 After piecing, the blocks are really ragged-looking. It's all in the trimming, which I did haphazardly on these sample blocks. Obviously you could square them up more. Or not. And notice, left to right, the different look depending on how closely you 'matched' the seams (separated, matched, overlapping). So this just may be a technique I'll explore more. Whatcha think? I think your concept of different shape/colors of women is spot on! The hour glass block is the perfect representation. What a fun technique to explore Debbie! I think I really want to give this a try. Thank you so much for sharing your technique! Fun! I have an improv hourglass quilt on the design wall that has been in limbo for about 7 months. This reminds me that I need to get back to it! Fabulous!!! Such fun blocks, thanks for sharing. How fun! I really need to do improv more often - these look so cool! Wonderful and interesting what results from your play! Wow! I never thought of playing with wonky hourglasses. Your improv work always inspires me! 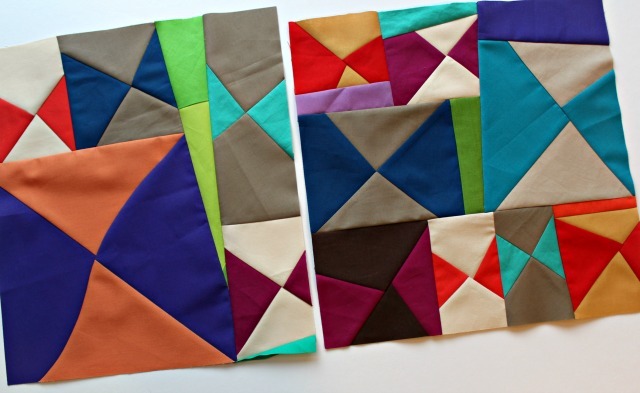 Looks like a fresh and fun way to use up scraps! I love how your neutral fabric ties everything together.